While it has often been overshadowed by more pressing issues in headlines, the bellicosity Iran and Saudi Arabia have for decades shown one another is arguably one of the most pressing concerns for the region. The culmination of events over the weekend involving the two countries - Saudia Arabia's mass execution of 47 individuals including a prominent Shiite cleric, and the subsequent violent protests occurring at the Saudi Arabian embassy in Iran - underscore this point perfectly. Now the Middle East, a region already at the precipice of outright catastrophe, is in a particularly precarious position. What happens next between the two countries will reverberate across the entire Middle East and, in certain ways, the globe. 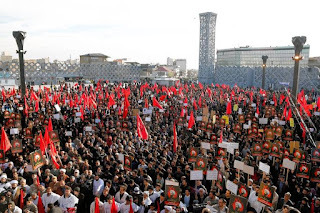 Saudi Arabia has long been a bastion of Sunni Islam while Iran, for decades the black sheep of the region, has been a home to Shiites, the minority of the two in the region. 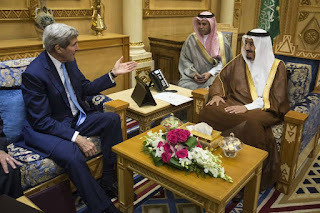 As far back as the Revolution in 1979, Iran and Saudi Arabia have been seen as bitter enemies, constantly attempting to one-up one another and choosing proxy battlegrounds along the way. Two of these battlegrounds exist right now: Syria and Yemen. 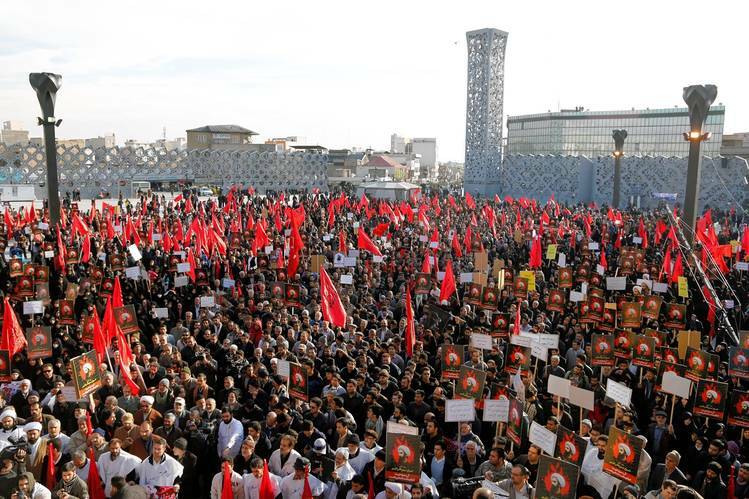 Since the uprising began in Syria five years ago, Iran has desperately attempted to help prop up President Asad, who is of a minority Shiite sect called Alawite. Unlike its leader, however, Syria is a predominantly Sunni state--giving Saudi Arabia entree into the conflict in an attempt to restore power to the majority religious population. A civil war has similarly erupted in Yemen and continues to serve as a proxy battle for Iran and Saudi Arabia, who have taken sides. In a particularly decisive move, Saudi Arabia began conducting airstrikes and providing military support on a mass scale to the government of Yemeni President Abd Rabbuh Mansur Hadi. Iran, meanwhile, has been providing military and logistical support to the houthi insurgency, loyal to former Yemeni President Saleh, which has waged all-out warfare against the sitting government. These battles have had lasting repercussions for the entire region--most notably the governance vacuums they have created in Syria and Yemen that have permitted the Islamic State to thrive. The emerging diplomatic conflict between Iran and Saudi Arabia may prove to be a much more urgent geopolitical issue, however. Tragically, the disagreement comes just as progress was being made in Syria peace talks. Both Iran and Saudi Arabia have participated in multi-national talks in recent weeks, demonstrating the possibility of a preliminary agreement being reached in the coming months. Hundreds of thousands have died in Syria to date and much of the country has been reduced to rubble--it is well past time that a ceasefire was negotiated. Should tensions continue to flare between Iran and Saudi Arabia, however, it is likely that the scheduled talks in Geneva later this month will be put on hold--something the Syrian people cannot afford. The disagreement also has the possibility of undermining the Iran nuclear agreement that was signed last year. The United States has been placed in a precarious position: on one hand, President Obama is striving to improve relations with Tehran following the agreement in an effort to not only strengthen the agreement, but make Iran less of a hostile player in the region. Iran tests of ballistic missiles in recent weeks have caused distrust and stoked anger in the U.S. as well as Iran; the U.S. cannot afford any more issues. Saudi Arabia, however, is the leading ally of the U.S. in the region, and will see any warmth towards Iran as hostility towards themselves and a degradation of the relationship. President Obama must walk the diplomatic tightrope and ensure that both sides feel that they are being treated respectfully. Finally, the disagreement has and will continue to affect the global oil market. Brent shares fell on Monday on news of Saudi Arabia's decision to sever diplomatic ties with Iran. With Middle Eastern countries producing so much of the world's oil, the reminder that it remains a highly volatile region will be unsettling to investors. Further, while Saudi Arabia has vowed to keep production high, any escalation in conflict that more quickly drains their monetary reserves will result in a halt of production, sending oil prices soaring and hurting American consumers. As of today, Saudi Arabia, Bahrain, and Kuwait have all severed diplomatic ties with Iran following the protests in Tehran over the weekend. The United Arab Emirates has also downgraded their diplomatic ties. It is unclear how Iran will respond, but the United States is urging both sides to exercise caution moving forward. The entire region's stability likely depends on it. In the largest blow to the late Hugo Chavez's Socialist Party since its founding in 1999, it was announced yesterday that Venezuelan voters had handed the country's opposition party a supermajority in the National Assembly. The Democratic Unity coalition will now have the power to name the president of the Legislature, approve or reject the government's budget, and even hold a referendum on the president's leadership, after 16 years of political imprisonments, a hostile Socialist majority, and overall oppression. The victory is a striking bellwether indicative of the various crises Venezuela currently sees itself in: an economy on the verge of collapse, an impending shortage of food, and a devastatingly failed healthcare system. Former President Chavez's handpicked successor, Nicolas Maduro, has managed to hold on to power since he took office in 2013, but has overseen a country with an increasingly grim forecast virtually since then. With more than 70% of the electorate turning out to vote - a record in recent years - it is clear that the people of Venezuela are fed up and ready for a change. The question now is whether or not the Democratic Unity will be able to facilitate the change that Venezuelans so desperately need--and the reason they voted with such decisiveness. Venezuela's economy has been in a virtual free fall for months, primarily due to plummeting oil prices. Crude oil - by far Venezuela's most important commodity - has dropped 65% in the past 18 months, sending shudders around the globe but none more apparent than in the South American country. According to the IMF, due to this decrease, Venezuela's economy is expected to contract 10% and 6% in 2015 and 2016 respectively, with inflation over 100% for 2015. 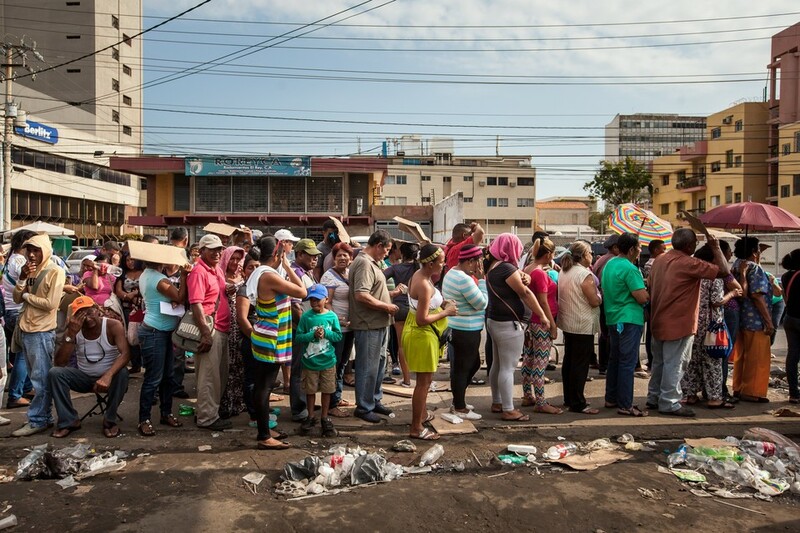 Venezuela's healthcare crisis is arguably more acute. Thousands of citizens do not have access to even the most basic medical supplies and medicines, and in March 2015, the Venezuelan advocacy group Doctors for Health found in a national survey that 44% of operating rooms were not operational and an astounding 94% of labs didn't have the equipment or supplies necessary to be operational. They also found that 60% of basic medical supplies were either partially or wholly unavailable. According to Human Rights Watch, because Venezuela does not have a developed pharmaceutical industry, it relies on imports for most of its medicines, and has in the past several years planned poorly and mismanaged storage of medical supplies and medicines. The healthcare crisis is only compounded by an increasing lack of food in the country. 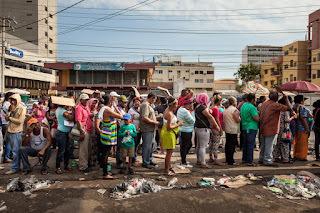 An August poll found that 30% of Venezuelans were eating just two meals a day, and that 70% had stopped buying basic food products because they were too expensive or unavailable. Like the healthcare crisis, Venezuela's food shortage has triggered protests - some turning violent - throughout the past year, with little in the way of a substantive response from the government. However, the Assembly does not have much influence over the economic policy of the country, and therefore, in addressing these crises. That power will remain in the hands of President Maduro, despite talk of new laws passed to spur economic growth, provide pensions for elderly currently without them, and the removal of finance cabinet ministers. President Maduro will be tasked with improving the economy, cutting oil production to stabilize the price, and incentivizing foreign direct investment and small business growth. He will be responsible for heeding both the cries from his citizens but also the recommendations from NGOs and advocacy groups, working to increase pharmaceutical imports while expanding the industry domestically, and resolving the food crisis immediately. Above all, though, in order to truly reverse the economic malaise, the President and the Assembly will have to work together. The likelihood of that today appears scarce. 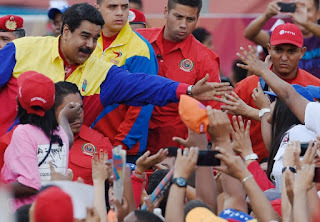 President Maduro has vowed to fight the opposition with whatever it takes; likewise, the opposition won their election on the message that President Maduro and his party were broken beyond repair. Both must put their differences aside now and govern in a manner that is effective and restores the public's trust. Venezuela is in dire straits; there is no time for political posturing. A successful collaboration between the two will almost guarantee a step in the right direction for the country--something its citizens voted for, and something they are counting on. Over the past several weeks, migration to the European Union has been a topic dominating headlines as the countries of the eurozone remain bitterly divided over the next course of action. Due to unprecedented humanitarian crises in the Middle East and Africa, it is no surprise that Europe is facing an influx of refugees that they simply do not have the bandwidth to manage. However, as the death toll from failed migration attempts rises and E.U. members continue to bicker and avoid taking action, the crisis is going to worsen substantially. From a humanitarian standpoint, finding a solution that benefits these refugees is desired, but from a political standpoint, it is imperative. The pace at which refugees are coming to European shores is indeed frightening--Germany claims it will be processing up to 800,000 this year, or four times the number it processed in 2014. This is a long-anticipated overspill from the Syrian civil war: countries that have supported refugees for years such as Lebanon, Jordan and Turkey, are now finding themselves at capacity and unable to provide safety and shelter to any more refugees (as my colleague Vicky has written, the conditions in these refugee camps are themselves not at all desirable or livable). Europe should have seen this coming for quite some time, but somehow, here we are, with the continent seemingly completely caught off guard. 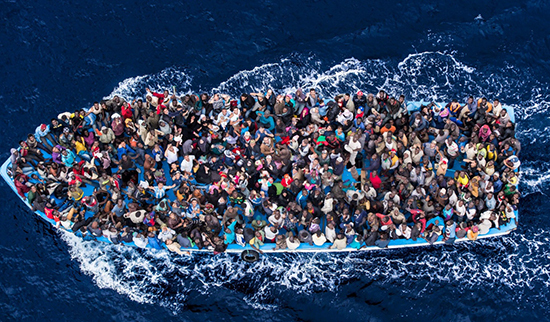 And as record numbers of refugees come to Europe, they are dying in record numbers. The death toll is in the thousands so far this year, with specific events capturing the world's attention with their horrific details (ships sinking, suffocated bodies found in trucks, the list goes on...) This is now a very serious crisis that will make the E.U. look inhumane and embarrass them until steps are reached to resolve it. What makes the situation even more dire is the fact that it is the countries with the most unstable economies and the weakest governments that bear the brunt of this influx. It is estimated that Greece has already taken in roughly 160,000 this year; meanwhile, this summer the country narrowly avoided bankruptcy by securing a last-minute bailout deal, just before Prime Minister Tsipras of the once-popular Syriza party resigned and called for new elections. Greece's own population remains destitute, with a staggering 25 percent unemployment rate (around 50 percent for young adults), unprecedented homelessness and a dearth of government services. In Italy, itself a struggling economy, there has been the arrival of more than 83,000 migrants. Instead of support these countries inundated with refugees and simply unable to support their domestic populations as well as the newcomers, many European countries have simply turned their back in defiance. In the meantime, frightening anti-immigration nationalist political parties, predominantly in the nordic states and parts of Eastern Europe, are growing in popularity--a serious threat to the E.U. 's political stability. Germany has stepped up, as they are wont to do in these types of situations, bravely announcing that they will offer asylum to all refugees who make it to their borders. 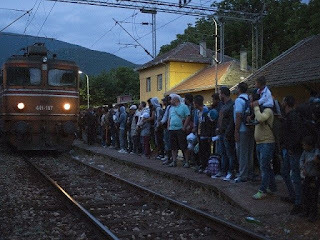 However, in response, Hungary shut down its train stations earlier this week, barring migrants from leaving without "proper paperwork." The situation is rapidly turning into a nightmare, and something needs to be done about it. Germany has proposed a quota system that is spread out among states based on their ability to accommodate, but this has been met with a fierce backlash from anti-immigration countries who feel that being in the Schengen region does not require them to welcome anyone they don't want across their borders. The E.U. executives claim to have a new proposal ready to present later this week, but it is unlikely that any compromise will be agreed upon by the stanch opponents. The longer it takes to reach a deal, however, the worse the situation will be for not just Germany, Italy, and Greece, but for the entire E.U., and a very serious threat to the concept of the Schengen region. But besides developing framework on how to handle sudden influxes in refugees (which should have been developed a decade ago, at least), the E.U. must begin to commit to better supporting the countries where these refugees are coming from. Humanitarian assistance and financial support would go a long way in Jordan, Lebanon, and other similarly situated countries. And with even slightly better living conditions and increased capacity for accommodation there, the number of refugees crossing into Europe each year might decrease to a more sustainable level. It is incumbent upon the members of the E.U. to work towards this type of collaboration. Today marks a somber anniversary, the 70th anniversary since the United States dropped the first of two nuclear weapons on Japan. Seven decades ago today, the US, ostensibly to end WWII in the Pacific, dropped a nuclear bomb on Hiroshima, followed three days later by a nuclear attack on Nagasaki. In the aftermath, hundreds of thousands of people died in the two cities, and over one hundred thousand were killed in the initial blasts alone. The nuclear weapons used in the attacks on Hiroshima and Nagasaki were comparatively small compared to the destructive power of nuclear weapons today, and they still devastated two large cities. Japan marked the occasion with speeches by the few remaining survivors, a national moment of silence, and the tolling of a bell. The anniversary comes at a moment when the United States faces yet another nuclear crossroads: whether or not to enact a nuclear deal reached with Iranian negotiators on July 14. On one side stands the Obama administration, which negotiated the deal and hopes to pass it through a Congressional vote, despite significant, somewhat bipartisan opposition. On the other stand politicians from both sides of the aisle, although largely Republican, who say the deal will not stop Iran from obtaining a nuclear weapon, and argue that the US should continue the current sanctions regime in the hopes of obtaining a better deal. 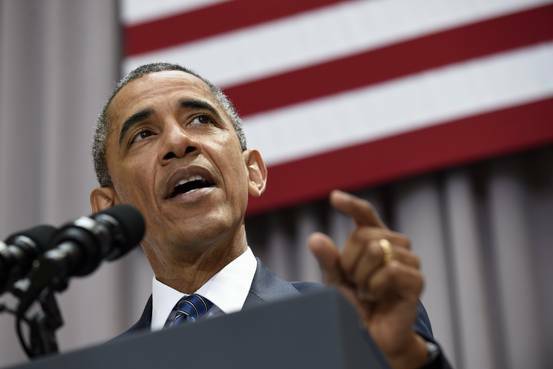 If such a deal never materializes, then armed intervention in Iran becomes an option. This post was originally published on The Huffington Post and is reprinted here with the author's permission. Mohammed's* house is falling down around him. 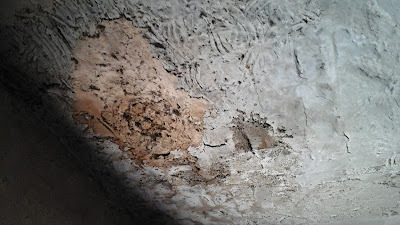 Dampness and mold have invaded his walls, his roof is crumbling over his family's heads, and he desperately needs to fix it before winter arrives. The dampness is caused by improper insulation, as well as a bathroom built into the corner of his kitchen. A small window provides the joint toilet/shower's only source of ventilation, and it opens directly over the kitchen area, leaking not only moisture, but also the odor from an open squat toilet shared by nine people. The roof can be fixed with a concrete casing, the bathroom requires a door and outside vents, and the broken windows and doors must be sealed against the elements to stop the home's deterioration. Mohammed cannot afford the necessary upgrades to his home because he is one of the nearly 630,000 Syrian refugees currently residing in the Hashemite Kingdom of Jordan. Of these refugees, 85 percent live outside of the country's refugee camps, and 99 percent lack a permit to work legally. Known as urban refugees, the greatest challenge they face when they arrive in Jordan's cities and towns is securing access to adequate and affordable shelter, especially without a legal source of income. Mohammed's troubles with his rented home are not unique, and tens (if not hundreds) of thousands of Jordan's urban refugees currently reside in substandard or inadequate shelters. Sections of Mohammed's roof are falling away due to dampness and mold. Urban refugees in Jordan consistently cite housing as their primary concern, and cash-for-rent and construction assistance from both domestic and international organizations provides a vital support system as refugees seek to reestablish their lives. But in Jordan, the government has suspended all urban shelter projects since early 2015, and organizations attempting to house Syrian refugees cannot even provide cash assistance, let alone make upgrades such as those Mohammed's home requires. As urban refugees struggle to pay rent, they are forced into substandard housing that threatens their families' health, access to education, security, and overall wellbeing. I visited Mohammed's home in June 2015 with an NGO** that provides shelter assistance, among other areas of humanitarian aid. 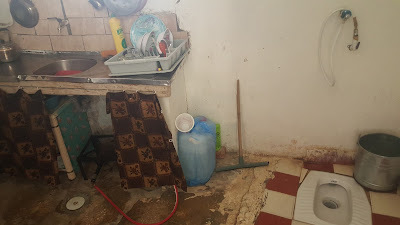 Due to the government suspension, NGOs in Jordan can only work within narrow confines to improve the shelter situation: they can continue education programs about housing and property rights, and they can perform home assessments like this one, in the hope that the suspension will soon be lifted and projects will resume. In total, between the repairs to the roof and broken windows and upgrades to the bathroom, Mohammed's house requires 900 Jordanian Dinars in funds (about 1,200 USD) to be considered habitable, albeit at a very minimal level. Ordinarily, the NGO would move forward to pay these upgrading funds in installments to refugee families or their landlords, to ensure that the money is spent on approved construction projects. Instead, due to the suspension, we leave Mohammed and his family of nine without promises, and without any idea of when or if the aid would materialize. A combined kitchen and shower in a refugee home, where family members must bathe fully clothed because they do not have a shower curtain or separating wall. The various Jordanian ministries reviewing the projects under suspension have not given a coherent reason for the sudden work stoppage. The suspension was imposed in early 2015 despite the fact that the same ministries approved all shelter interventions a few months prior, during the 2014-2015 government-led Jordan Response Plan (JRP) initiative. Some of the aid workers I spoke with think that the suspension continues due to disorganization within the ministries; others believe it is the result of a lack of political will to support shelter projects, or an unwillingness to suggest refugees may be long-term or even permanent residents of Jordan. All agreed that it is unlikely if not impossible that in a few months' time, the government had found such significant issues with shelter projects that they merited a full suspension. Meanwhile, planning meetings for the next round of policy documents, JRP 2016-2018, have continued, and Jordanian ministries have yet to put forward any additional or alternative shelter strategies. Drafting documents is, of course, a much simpler and less politically fraught task than actually carrying policy through to completed projects, but the government has not even given a timeline of when or if organizations can continue their work this year. As a result, donors have begun pulling funding for shelter projects, and a year of work has already likely been lost. The UN High Commissioner for Refugees (UNHCR) and NGOs have been implementing and revising several approaches to shelter provision in Jordan since the refugee crisis began in 2011. The UNHCR provides funding to NGOs to implement projects, and cash-for-rent assistance to the refugees themselves. NGOs have various levels of focus on cash-for-rent aid, upgrading substandard shelters, completing unfinished construction projects, distributing sealing-off kits, and raising awareness about housing and property rights. For populations of urban refugees, shelter is the cornerstone of aid provision and wellbeing. A refugee's work, education, familial relations, water, food, hygiene, health, and personal security are all inextricably linked to shelter conditions. Without an adequate place to call home, other interventions can only act as stopgap measures, while the physical and psychological health of entire families suffers. Shelter provision is politically contentious in a way that food, water, and other areas of emergency aid are not. Shelter and construction imply permanence, while domestic as well as international actors typically treat refugee populations as temporary, despite the fact that the average refugee crisis now lasts 17 years. Constructing or improving housing for refugees creates tensions with the host community as well as the host government, whose low-income citizens often live side-by-side with refugees but do not receive similar levels of aid. It is a complex situation, but by no means an unsolvable one, and the benefits of increasing the housing stock to Jordan's housing market far outweigh the costs of negative perceptions of aid and refugees. There is currently a shortage of over 48,000 housing units in Jordan, and rising rent prices caused by the inadequate supply of homes negatively affect refugees as well as Jordanian nationals. Organizations responding to the refugee crisis in Jordan also work to increase the resilience of the host community, whether by educating Jordanians about housing and property rights, upgrading substandard Jordanian homes, or completing unfinished construction projects for Jordanian landlords. The suspension of urban shelter projects harms not only Syrians, but native Jordanians as well. As one aid worker put it, "The government is not shooting themselves in the foot, they are shooting themselves in the heart." If the suspension is not lifted soon, the construction season will give way to winter, when priorities shift to sealing-off kits and winterization of homes. Mohammed is only one of hundreds of thousands of refugees and vulnerable members of the host community in need in Jordan, and under the shelter project suspension, homes like his will continue to deteriorate, leaving his family and others like it to suffer the consequences. The (insufficient) funds the UN and NGOs have received are not being spent, sending the message to donors not to fund shelter projects for fear of wasting precious aid dollars. NGOs whose primary focus is shelter may be forced to leave Jordan altogether, to move on to a country where their assistance is welcomed. 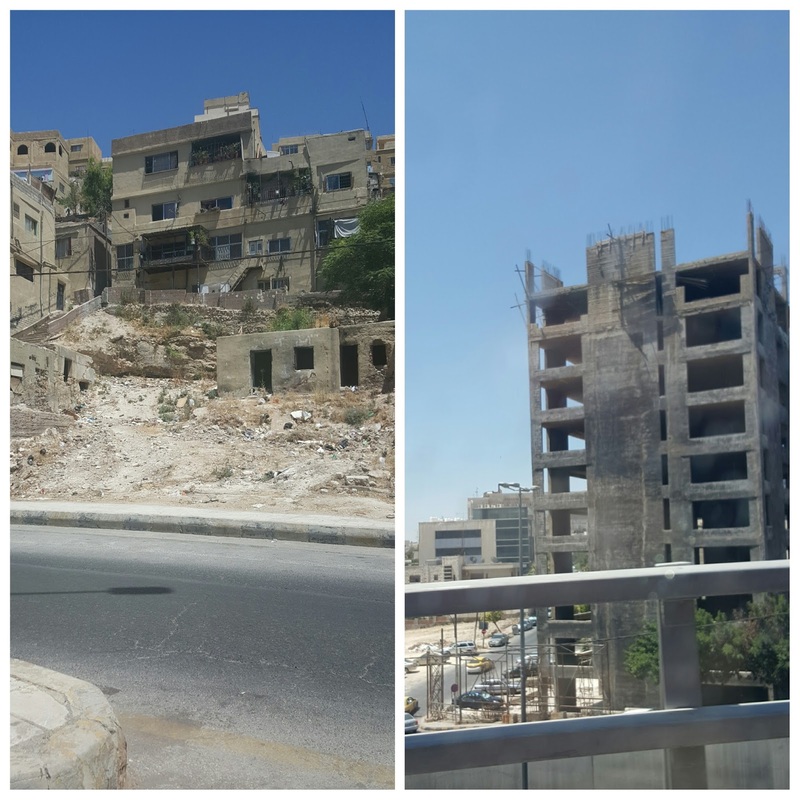 Vacant lots and unfinished construction projects are ubiquitous in Jordan, visible reminders of the housing crisis. In Mohammed's house, the need to fix the roof, upgrade the bathroom, and seal the broken windows and doors before winter arrives is palpable. Even in the summer heat, the house is cool and damp, which will only grow worse as the cold and wet weather arrives. Without relatively minor improvements to the home, his entire family's health and security will be compromised, and the problems assessed during our visit will only grow worse. The roof itself could collapse at any moment from deterioration, and one of Mohammed's six children might be underneath it when that happens. Mohammed's daughter Amena, seven or eight years old, follows us as we conduct the assessment. She peeks around her father's legs as he explains the problems in the home, shy around a group of strangers, but curious nonetheless. She and her siblings have been learning English, and a Playhouse Kids textbook lies open on the kitchen counter. The fridge is covered with flashcard magnets that give the English and Arabic words for different kinds of food, so that even when they eat, the children are studying. Amena's purple, sparkly t-shirt reads: "Smart Girl with Big Dreams." I can't help but wonder, growing up in such conditions, what will happen to those dreams if her family's home remains uninhabitable. Without an end to the government's suspension of shelter projects, children like Amena will need to find their own way to keep dreams alive in dark, damp, and dangerous homes. Vicky Kelberer conducted research in Jordan in June 2015 with the support of the Boston Consortium for Arab Region Studies, a Carnegie Corporation project, and the Boston University Institute for the Study of Muslim Societies and Civilizations. *The names of the refugees mentioned in this article have been changed to protect their identities. **NGOs and aid workers requested anonymity, given the sensitivity of these issues.